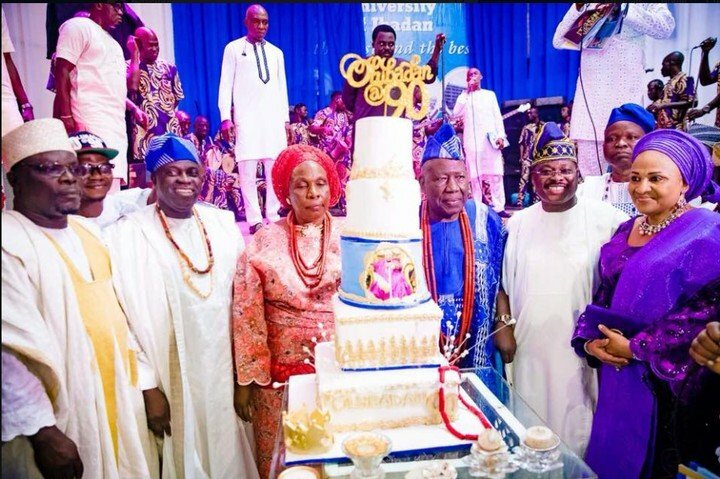 The Olubadan of Ibadan, Oba Saliu Akanmu Adetunji, on Sunday marked his 90th birthday with a glamorous event which was well attended by prominent Nigerians and people of the city. 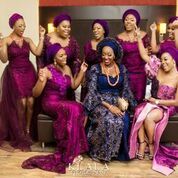 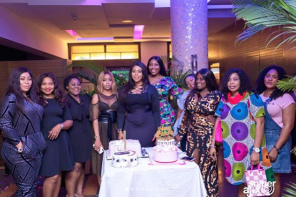 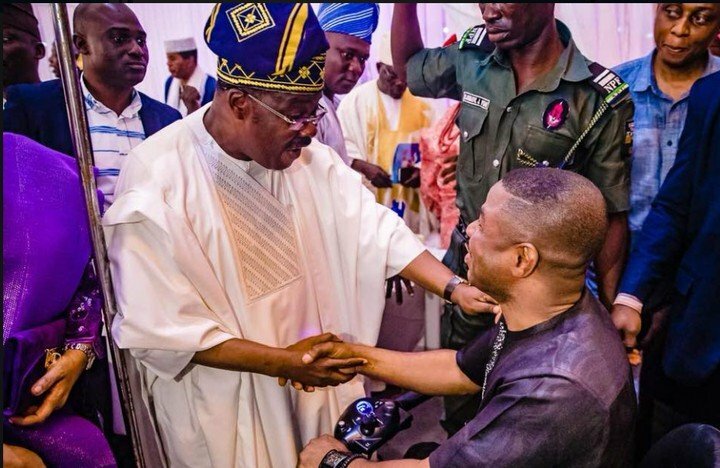 Some of the dignitaries at the event include Oyo state governor Abiola Ajimobi and his wife, Mrs. Florence Ajimobi, former governor of Oyo state, Adebayo Alao – Akala, former senate majority leader, Teslim Folarin among other political dignitaries. 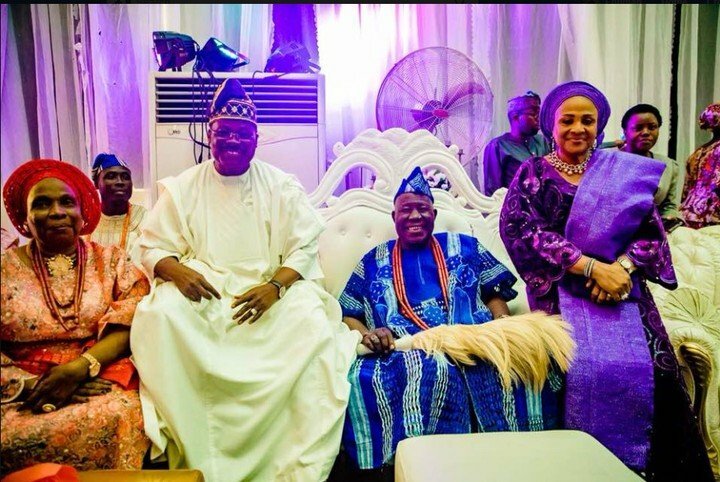 The colorful reception was also attended by prominent traditional rulers: Oba Enitan Adeyeye Ogunwusi the Ooni of Ife, the Eleruwa of Eruwa Oba Samuel Adegbola, the Olugbo of Igbo Oba Obateru Akirintan, and the Obanikoro of Lagos, who represented the Oba of Lagos, Oba Rilwan Akinolu. 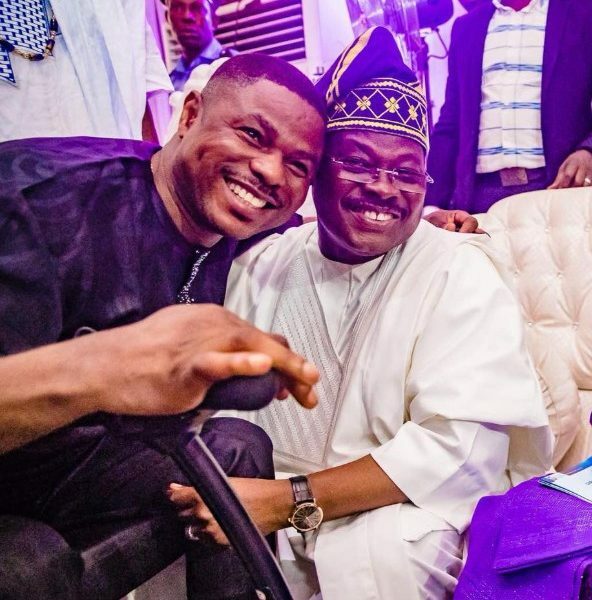 Gospel musician, Yinka Ayefele, whose Music House was recently demolished by the Oyo state government was also at the Olubadan’s birthday event. Pictures which surfaced from the event showed Yinka Ayefele in high spirits and cheerful mood as he met with governor Ajimobi.